– We can meet Croatia in the next Round and of course, Serbia is our opponent at the beginning , so this tournament is really interesting for us. 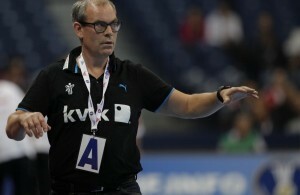 We will send a man to Osijek to make some video for us – said headcoach of Danish national team, Jan Pytlick. At EURO 2010 Denmark will play in froup “A” with Spain, Romania and Serbia. Denmark and Pytlick go separate ways!